Mary’s parents both turned 85 this year. After a long life of living independently, they’re both slowing down and suffering some aches and pains caused by arthritis and other minor conditions. While they’re capable of living alone, neither much care for cooking any longer, and vacuuming has become too much of a chore for Mary’s mom to handle alone. To help ease the burden of cooking and housework, Mary has convinced her parents to hire a home care agency to visit a few times each week. However, both Mary and her parents are worried about finding a home care agency that meets their needs, while also providing reliable service. 1. Is Your Agency Qualified? 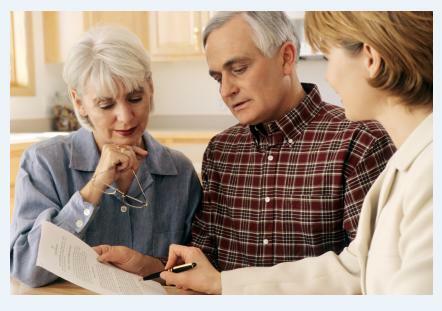 Family members want to be sure that they’re welcoming a certified, experienced and qualified agencies into the home of their elderly loved one. When working with prospective clients, highlight any certifications, registries, or associations which you are a part of, as well as spotlighting caregiver training and experience. Using a home care software or home care system that allows you to track caregiver certifications also lets clients know that administrators are diligent in ensuring that caregiver certifications and training are kept up-to-date. 2. How Much Does Home Care Cost? Cost is often a concern when people are shopping for home care. While your agency may not be the cheapest in town, it is important to highlight the value of your services in relation to the cost. For example, value-added services, like access to a home care software or home care system such as ClearCare, lets family members log in and check care progress at any time. This level of added transparency and efficient management helps sell your services as an outstanding value. 3. Will There Be Caregiver Continuity? Many prospective clients worry about multiple caregivers in the home. Having continuity in the caregiver scheduled for shifts can be very important. With the power of a robust scheduling module in a home care software or home care software, like ClearCare, you can keep caregivers on a recurring schedule and ease the concern of new clients by letting them know about auto alerts the night before a shift, as well as your ability to easily locate available caregivers in case of an emergency preventing a caregiver from fulfilling a shift. 4. How Do You Supervise Caregivers? Family members can be confused about how caregivers working in the field are supervised by an administrator in an office. However, it is important to make new clients feel that caregivers are being monitored. Tools like home care software or a home care system, such as ClearCare, allow administrators to demonstrate how clock-ins, clock-outs, notes, and tasks are all monitored from afar. When working with prospective clients, it is advantageous to have tools like home care software or a home care system in place, along with efficient management practices and experienced caregivers. With well established business practices and the power of technology, like ClearCare, your agency will stand shoulders above the competition when new clients come to you for shopping services.